Associate Analyst Jobs in GlobalLogic | Walkin Drive on 22nd and 23rd November 2017 | Gurgaon. GlobalLogic is conducting Walkin Recruitment in Gurgaon for Graduate students for the position of Associate Analyst. Interested aspirants have to practice GlobalLogic Placement Papers and also refer GlobalLogic Syllabus which will help you to score good marks and perform well in the selection process. Those who are interested they can download it from our web page. GlobalLogic has specified that contenders should have a minimum qualification in any discipline (Graduation) with an excellent written and verbal communication skills. Aspirants should have the ability to learn quickly about new project requirements and also communicate and participate on project forums. It is not an easy matter to get placed in GlobalLogic, so applicants have to practice hard to crack the GlobalLogic Recruitment 2017. This is an excellent opportunity to set better future. Candidates are advised to check Recruitment notification and Latest Job Openings in Gurgaon for more latest job updates. For other IT Jobs candidates are welcomed to go through our site All India Jobs for more official Stuff. Education: Graduate (In Any discipline). CTC: 1.85 LPA + Free Pick Up & drop, 2 Free Meals & Snacks, Quarterly incentives (Noida & Ghaziabad are not covered under transportation facility). Shift: 7:30 AM – 4:30 PM & 4:30 AM – 1:30 AM (Rotational Shifts, need to be flexible for both the shifts). (Nearest Metro: Guru Dronacharya Metro Station). Associate Analyst Jobs in GlobalLogic | Walkin Drive 1st April 2017 | Gurgaon. Candidates who are interested and eligible can apply for Latest walkins in Gurgaon and for further details, you can visit the official website. Interested aspirants practice GlobalLogic Placement Papers before attending the drive so that they can crack the test easily and perform well in the Interview. It is not easy to place in GlobalLogic Technologies Limited, so contenders prepare well to set career. Aspirants who want to get the latest information about GlobalLogic recruitment drives must check this page. 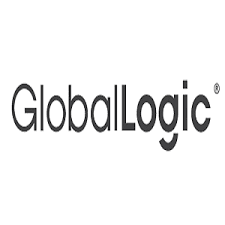 We provide each and every update of GlobalLogic., such as job openings for freshers and experienced professionals, GlobalLogic MNC online test patterns, and placement papers. Aspirants can attend for the walkin drive for GlobalLogic Recruitment 2017 which is held in Gurgaon on 1st April 2017. Interested Candidates can directly attend the drive at the below mentioned venue. 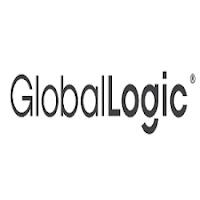 We hope the information provided on GlobalLogic Recruitment is helpful for your job search. If this job doesn’t suit you then you can check for other Jobs in our site. Keep visiting Freshers Jobs for regular Job Updates, walkin Drives.